The NFL Clear Bag Policy is in effect for all stadium events. This includes Ravens games, college football games, concerts, and all other M&T Bank Stadium Events. To provide a safer environment for the public and significantly expedite fan entry into M&T Bank Stadium, the NFL Clear Bag policy limits the size and type of bags that may be brought into the stadium. This measure was implemented in 2013 to enhance public safety and make it easier and faster for fans to gain access in all stadiums. Bags that are clear plastic, vinyl or PVC and do not exceed 12" x 6" x 12." (Official Ravens team logo clear plastic tote bags are available through the Ravens team stores on gameday or at shop.baltimoreravens.com. Small clutch bags, no larger than 4.5" x 6.5" or approximately the size of a hand, with or without a handle or strap, may be carried into the stadium along with one of the clear bag options. An exception will be made for medically necessary items like oxygen tanks, medical devices and aids (colostomy bags, etc.) after proper inspection at the medically designated lines at all the main gates (A, B, C and D). Prohibited items include, but are not limited to: purses larger than a clutch bag, coolers, briefcases, backpacks, fanny packs, cinch bags, luggage of any kind, seat cushions with a back, pocket, or zipper, computer bags and camera bags or any bag larger than the permissible size. Once inside the stadium, the clear bag must be utilized. Fans are not allowed to bring empty prohibited bags to transfer their items upon entry. Why did the NFL and its clubs adopt this policy? The League and clubs review their public safety and stadium security policies every year looking for ways to improve them. The Committee on Stadium Security and Fan Conduct strongly believed that it made sense to adjust our policy to enhance public safety and make stadium access more efficient by limiting the size and style of bags carried into the stadium.  This proactive measure was implemented by every team in the league in order to enhance safety inside and outside the stadium and increase the speed of the security screening process for all NFL fans. The public deserves to be in a safe, secure environment. This is about both safety and improving the overall fan experience. Are other venues limiting bags? Yes. In fact, some like the University of Michigan and Michigan State University do not permit any bags. Other venues, such as Penn State's Beaver Stadium and Rutgers' High Point Solutions Stadium, also have clear bag policies. All NFL stadiums follow the clear bag policy. There is a secondary perimeter around the stadium where security personnel check for prohibited items or bags being carried toward the stadium so those situations can be corrected immediately. This establishes a protected buffer area for fans in plaza-level areas and at the queues for stadium entry. Prohibited bags will be turned away. Any prohibited bag inside the second perimeter will be highly visible and more quickly resolved. The NFL's All Clear policy enables us to move fans through our security check points even quicker. As a result, there is less time spent standing in lines at the stadium gates and fans are able to get to their seats well before kickoff. What if I do not have a purse or bag of any kind? Half of the Ravens gate entries are "Express Lanes" for those fans without bags. All the main gates (A, B, C, and D) are half "Express Lanes" and half bag check lanes. Where can I buy a clear bag? There are a variety of options, including a clear 12" by 6" by 12" bag with no commercial identification or an inexpensive Ziploc bag. In addition, fans may carry their own small clutches. For fans who wish to purchase Ravens logo bags, they are available at all the team stores on game day (Sections 100, 105, 113, 121, 126, 134, 140, 146, 203, 227, 208, 507, 519, 534 and 546) as well as at shop.baltimoreravens.com. One large clear bag – either a one-gallon Ziploc style bag or the 12" by 6" by 12" clear bag – plus a small clutch. The larger clear bag must be a standard 12" by 6" by 12" made of clear PVC vinyl and is easily searched. The one-gallon Ziploc bag is readily available, inexpensive and easily searched. The small clutch allows privacy for small personal items and also is easily searched. Can fans carry cameras, binoculars, smart phones or tablets separately from the clear bag? Yes. Binoculars or a phone or camera can be carried into the stadium, but camera bags and binocular cases are not allowed. Cameras and binoculars must be carried on their own or in an approved clear bag. This is not a restriction on items that fans have been able to bring into the stadium. It is only a restriction on the type of container used to carry items. Inflatable seat cushions and seat cushions without a back, zipper, or pocket are allowed. Seat cushions that are large in size and could be manipulated to conceal items are prohibited. Fans will be able to bring blankets by tossing them over a shoulder or arm, making them easily screened by security personnel. Fans carrying bags that do not meet the criteria will be turned away from the stadium well before they reach the gates. There is a bag check outside of Gate A where fans can check their bags and retrieve them after the game. Please note: Prohibited bags cannot be brought into the stadium empty to be utilized after being checked at the gates. Only clear bags and small clutches are allowed inside and outside the stadium. If I have certain items that I need to bring into the stadium for medical reasons that won't fit in the clear bag, what do I do? An exception will be made for medically necessary items like oxygen tanks, medical devices and aids (colostomy bags, etc.) after proper inspection at the medically designated lines at all the main gates (A, B, C, and D).